Look at that concentration! However, I do not think she is touch typing - she seems to be going at it with two fingers, wouldn't you say? Promo pic - that striped dress is gorgeous! The hands in frames are rather creepy, though. And I cannot for the life of me figure out what typewriter that is - probably one custom-made for the film, I would imagine; it doesn't even vaguely resemble anything I recognize. 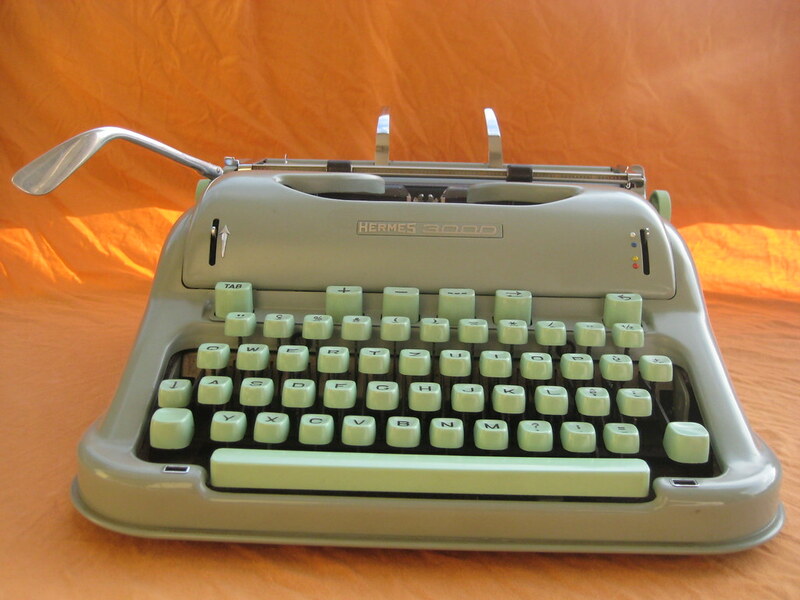 Obviously, the main typewriter featured throughout the film - and used by the heroine - is a Hermes Ambassador, but I wonder if there is also a connection to Japy. The list of characters on Wikipedia includes one Gilbert Japy... doubtless of the Japy Typewriter company! Fascinating. This is her competitor, I presume? 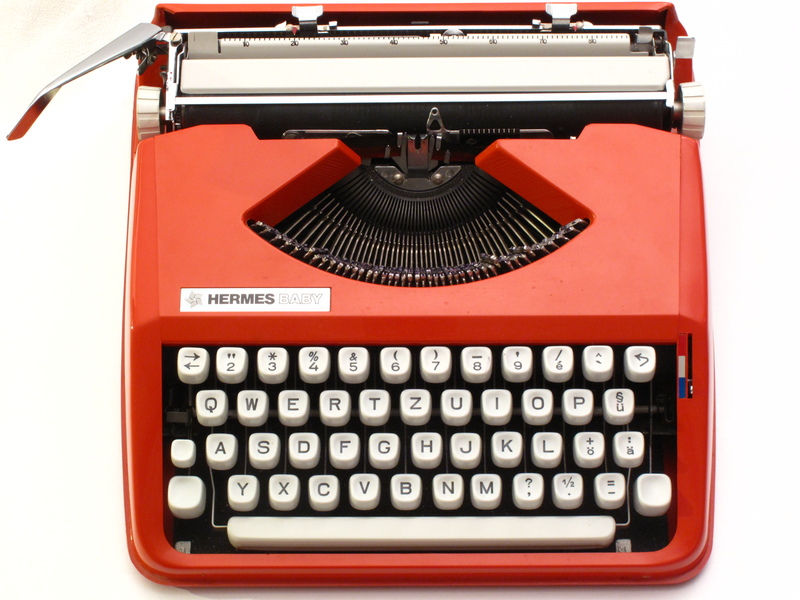 Is that an Olympia SG-3, or another custom-made typewriter? I love how this picture references color-coded typing guides! 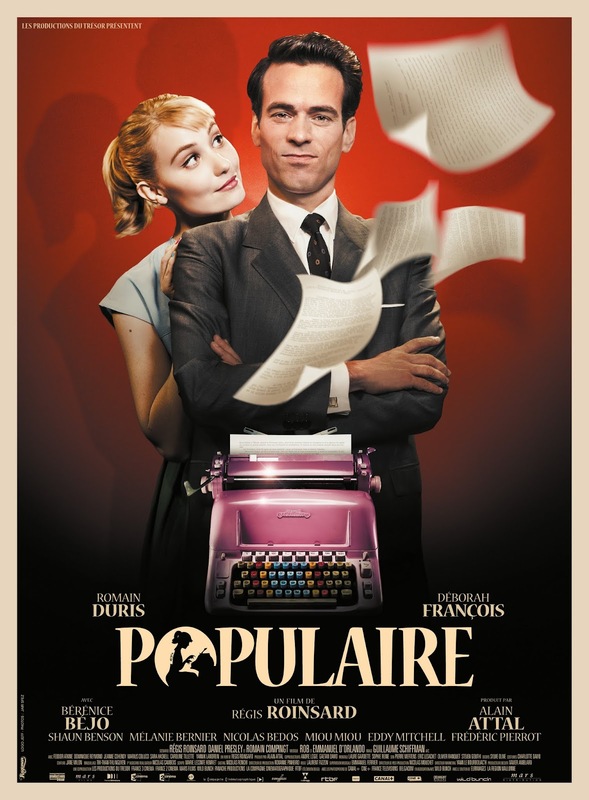 This Thanksgiving, I am thankful that Régis Roinsard was inspired by typewriters to make what looks to be a compelling and original period movie - and I cannot wait to see it next month! 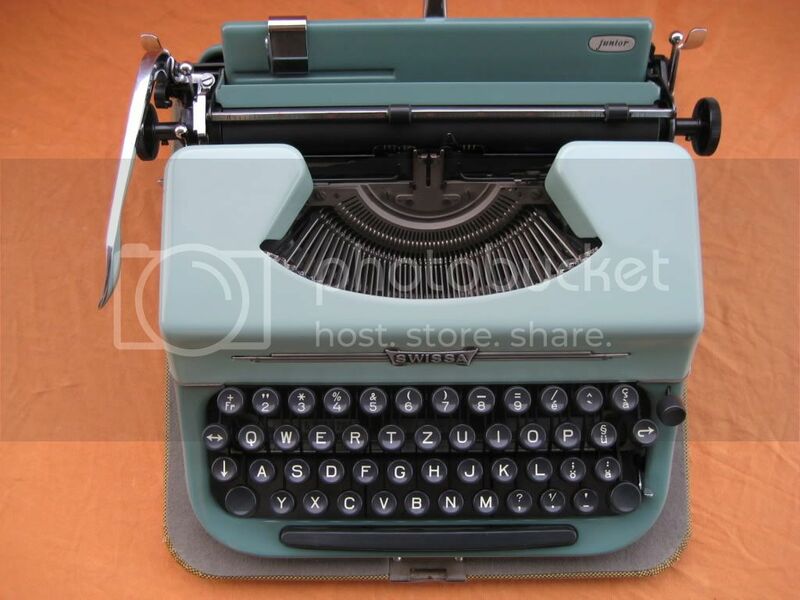 If this is the first you are hearing of speed typing contests, you are in luck: Robert Messenger of Oz Typewriter has written about them several times. This is a great post to start with.